Volunteering unites a diverse group of people for a common cause, so you’ll find a vast array of personalities at any volunteer project. We put our heads together and came up with the five people you are guaranteed to meet if you volunteer for a few Jersey Cares projects. The Enthusiast is incredibly knowledgeable about the organization, what needs to be accomplished, and how it needs to get done. They commit to volunteering at a particular organization regularly and step up to help other volunteers get acclimated. Often, this person is a Project Coordinator or Site Captain – and if they’re not already the leader, we will probably ask them to be! There is nothing this person doesn’t want to do – they are happy to take on any project that benefits the community. The Do-Gooder loves to chat with fellow volunteers to pump everyone up and motivate them throughout the project. 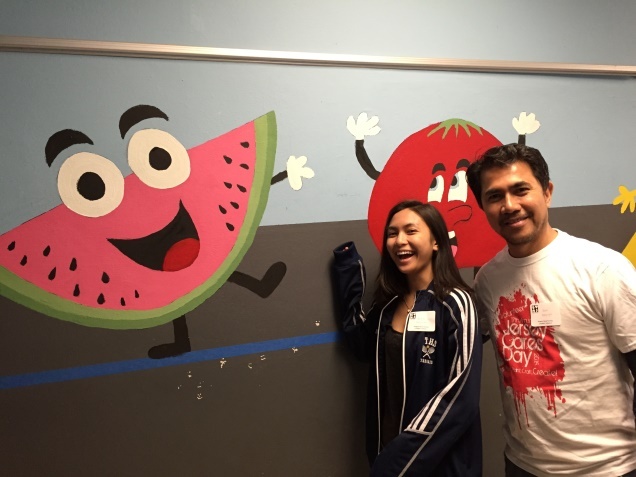 Typically in high school or college, The Student carves out time to give back to the community on top of their rigorous academic and extra-curricular schedule. 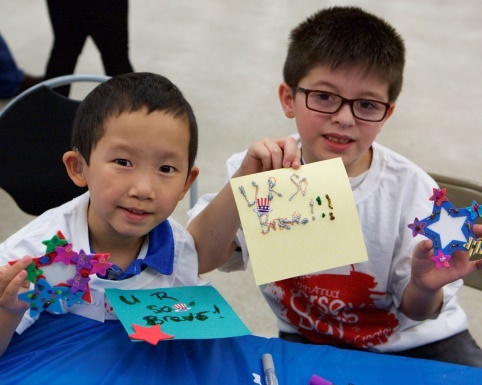 They usually volunteer in groups with their friends, making all of their efforts even more fun and worthwhile. You are the person who makes the difference. 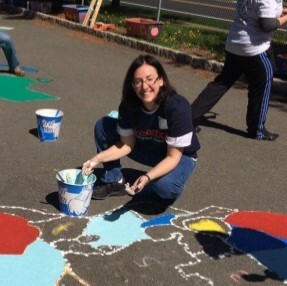 Whether you identify with any of the above volunteer types or not, you bring a unique perspective and skill set to the table, and make the work of Jersey Cares possible! Life can be rough, and anyone can fall into the trap of focusing on the negative. It’s raining, there was traffic, the drive-thru at my favorite coffee place was too long – you know the drill. So take a break and celebrate National Happiness Happens Month. 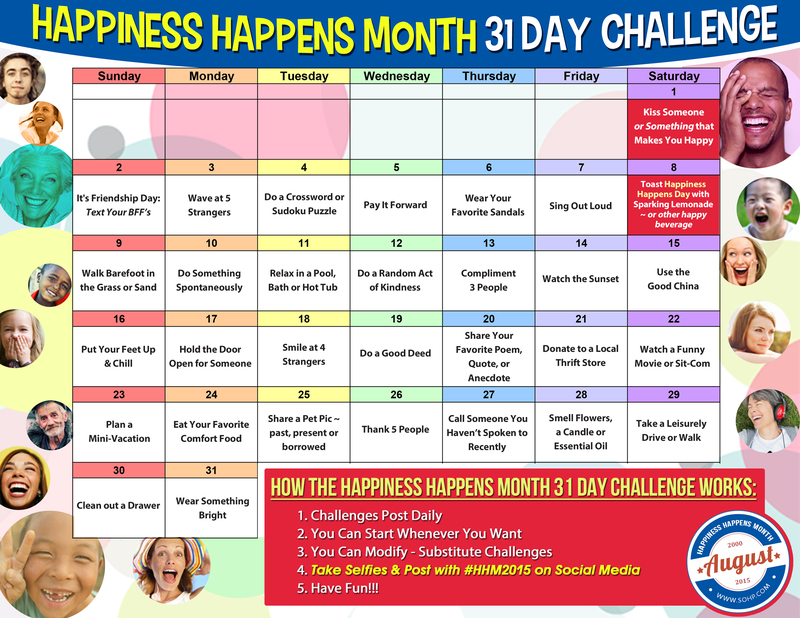 Created by The Secret Society of Happy People (SOHP – and yes, it’s real), Happiness Happens Month encourages people to reject the growing cultural norm of keeping happiness to themselves and appreciate and embrace happiness in their day-to-day lives. SOHP encourages everyone to express their happiness in the way that many tend to talk about their unhappiness. National Happiness Happens Day, celebrated since 1999 on August 8th, and now expanded to an entire month, reminds us to celebrate, rejoice, and express the small things that make our day. It’s a reminder to relish all of the everyday moments that go right by taken for granted. 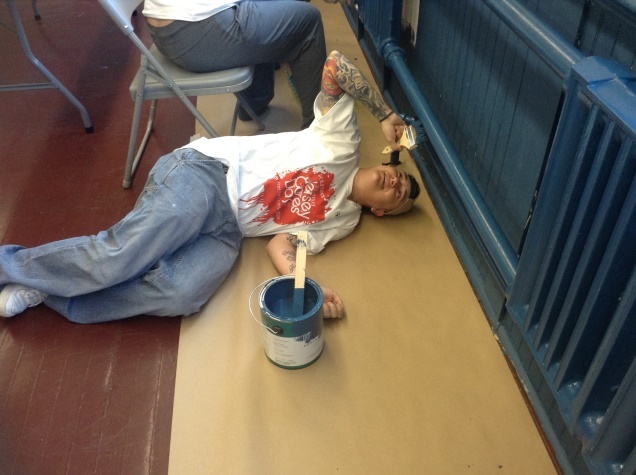 In Jersey Cares’ humble and unbiased opinion, volunteering is a great way to get your happiness on! A 2013 study showed that 94% of people who volunteered reported an improved mood, 76% felt physically better and 78% felt less stress. The best part of expressing and sharing your moments of happiness? There are so many ways to do it that manifest themselves as small acts of kindness: donating food or clothes, reading to a child, holding the door for the person after you, complimenting others, and hundreds of other opportunities – all of which are volunteering, by the way. Join Jersey Cares in celebrating National Happiness Happens Month by tweeting at us what makes you happy (post with #HHM2015 and #BeTheChange). And try taking the 31-day Happiness Happens Challenge for the rest of August. We do have a few ways to cross some of those challenges off your list! Happy National Happiness Happens Day!